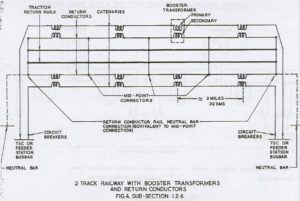 One rail of each track is normally designated as “traction return rail”. 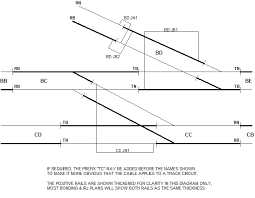 On plain track it is normally rail nearest the cess. 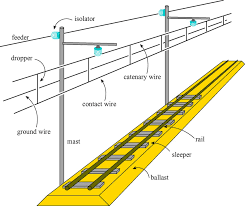 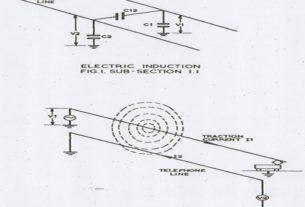 Additional conductor that carries traction return current in antiphase to current in catenary and the net electromagnetic effect on lineside telecommunication cables is reduced. 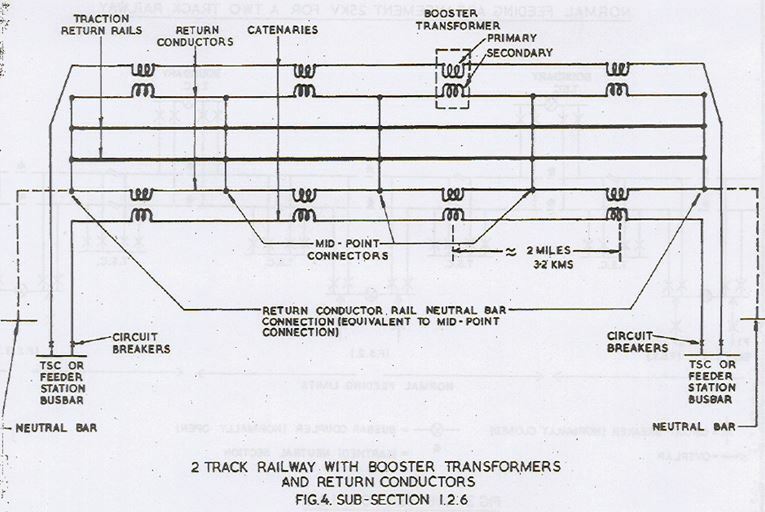 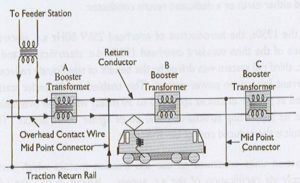 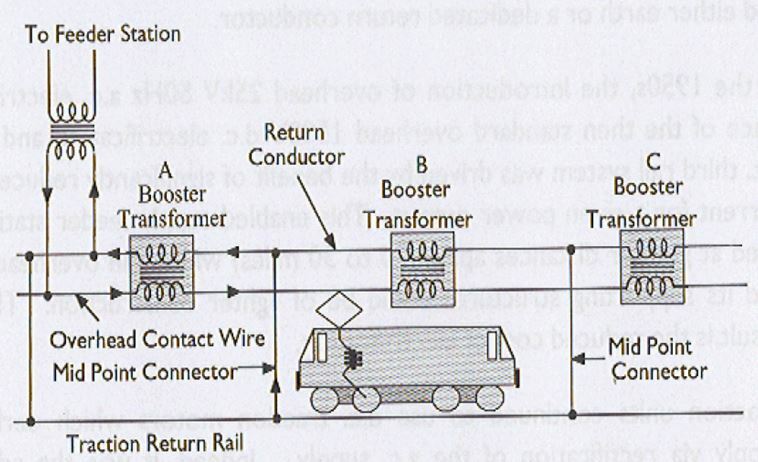 Return conductors are supported from the overhead line structures by insulators and are connected to the running rails midway between BT locations, and to the neutral of the incoming 25 KV supply at the feeder stations (bonds are called mid point connectors).